The sharp increase in illicit drug use across Australia should scare us all. Whether it’s from methamphetamine (ice) or, more recently, opioids, the number of people dying across the country has risen dramatically over the past 10 years. We are now on the edge of a national crisis caused by opioids generally, but more specifically fentanyl, and we must ask ourselves if enough is being done to reduce their use. We need to more closely examine the ice problem, including the arrival of precursors (ingredients) and finished products from countries like China, to assess if everything possible is truly being done. We also need to look afresh at the lack of addiction services that is continuing to cripple efforts to cope with the medical emergency. Fentanyl is believed to be 25 to 50 times stronger than heroin and was designed as a prescription drug to relieve the intense pain of patients such as cancer sufferers. Over the past five years, easy availability at relatively low prices has made this synthetic drug much more accessible and it has replaced heroin for many users and addicts. 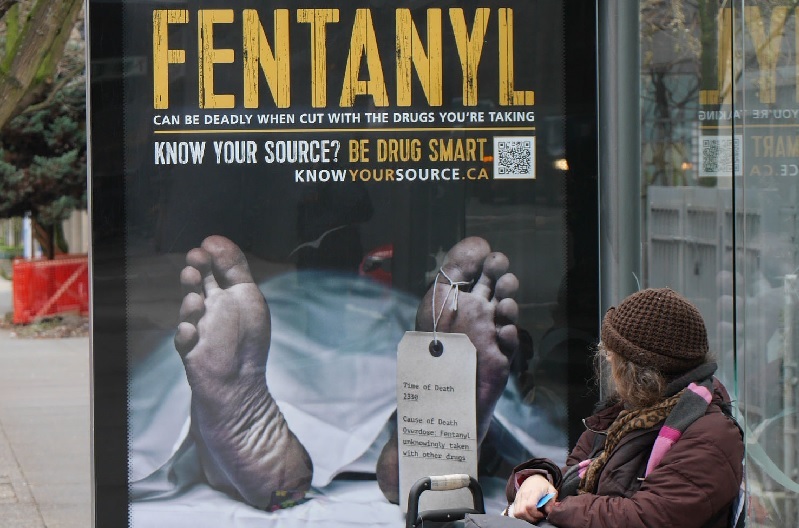 The US and Canada have recorded steep increases in illegal fentanyl use, resulting in accidental overdoses and deaths and triggering fear in the drug use community as well as among law enforcement and health professionals. Illicit drug use been killing Australians for decades. What’s new is the rapidly increasing number of overdose deaths. A recent report  by the Penington Institute revealed that Australian drug overdose deaths, the majority as a result of opioid abuse, reached a record high of 1,704 in 2016, surpassing the number of deaths from road accidents (1,331). A December 2017 report  in the Guardian noted that the rise in opioids found in wastewater testing in Australia suggests that we’re heading towards the levels being reached in the US overdose crisis, which kills more than 40,000 every year. The use of fentanyl has been on the increase in Australia, and whether it’s legally prescribed or illicitly diverted the impact appears to be the same: a high mortality rate for users. In other countries, such as Canada, the US and the UK, legal fentanyl is being replaced by illegal versions manufactured by organised crime syndicates. In all of these countries, the death toll is rising. Australia started later, but there’s a very real likelihood that the rate of use, and consequently the death toll, will continue going up. Attempts to slow or reverse this trend haven’t worked. Clearly what began as a pharmacological response to a medical problem has become a health crisis in its own right. But it can, to some extent, be countered by an aggressive overdose response that saves lives. Naloxone, an antidote for opioid poisoning, is being used by medical professionals to block the effect of opioids when an overdose occurs. In countries where a full naloxone rollout has taken place, it is saving overdose victims every day. Naloxone  has been used in a limited, but successful, way in Australia. It has been available over the counter since 2016, and pilot programs across the country have been offering training to family and friends of opioid users to recognise symptoms of an overdose and administer naloxone. In Canada, we have seen a dramatic increase in numbers of deaths with more than a dozen people dying daily. But it would be much worse if it were not for access to naloxone. Canada has rolled out naloxone to frontline medical, police and fire personnel to save the lives of opioid users. These personnel have also used the drug to save people who have suffered an accidental overdose. Vernon White is a Canadian senator and former chief of the Ottawa Police Service. Edited image courtesy of Jeff Anderson on Flickr.